In a world defined by stiff global competition, heightened user experiences, and demanding social media presences, the bigger is better mindset has been ruling for some time. But some regional airports and smaller airlines have been quietly rewriting this messaging. The reality of the travel industry is that a large percentage of travelers fall into the economy travel and short-haul categories. It is imperative that these travelers, who also bring in the volume of business, be addressed and served accordingly. New York's Westchester County Airport is one of the leading boutique airports in the world that focuses solely on arrival-to-destination convenience rather than the airport experience. It is the latter that has gotten so much attention in recent years as bigger airports tout their mall-like glitz and showcase their luxury dining experiences. The Westchester airport in White Plains, New York, boasts of the opposite. It has no shops, very few places to grab a bite and is the only U.S. airport to have a curfew. The emphases are on speed and convenience. The goal is to streamline the whole transit process and reduce wait times, so the turnaround time from check-in to boarding is a neat 45 minutes. This is unheard of in the larger airports. No matter how much a mall-like airport experience is touted, the reality is that most passengers are in a hurry and do not have time to waste. 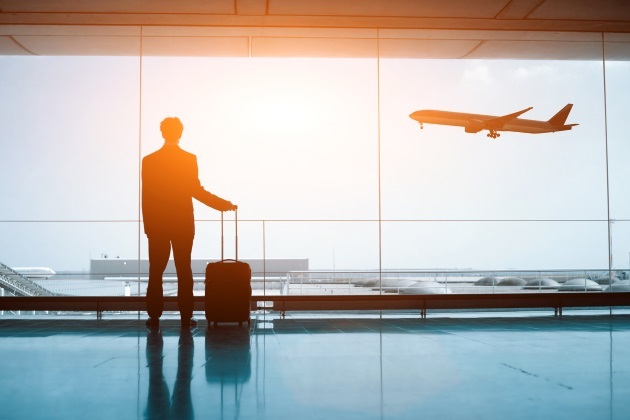 A lean arrival-destination airport limits the commercial service and ensures that the first order of business is maintained at all times, fast check-ins and quicker boarding. For business travelers, this is of particular interest. We know all about the budget and low-cost airlines, but are they any different from boutique airlines? It seems the two have the no-frills option in common, but the latter is quite different otherwise. Scandinavian Airlines has been making waves and for good reasons. This savvy airline believes that a smooth airport experience is a crucial part of its service. More than 75 percent of its revenue comes from short-haul travelers who constitute 90 percent of its passengers. So, upgrading its short-haul fleet is naturally of primary concern and the airline hopes to do this by 2020. Most flights are for about an hour, so instead of competing with other airlines that tout better seats and comfort, Scandinavian offers other amenities. SAS passengers can opt for a menu of healthy, locally sourced food, free tea, and coffee, all of which, with efficient check-in times, make this boutique airline experience a unique one. Future upgrades include more comfortable lounges, fast-track ground capacity and various digital apps and tools to assist the passenger. Here in the U.S., we have Massachusetts-based Cape Air, which is making the same kind of waves. Short lines, compact 11-seater Cessna planes, fast check-ins and boarding, minimal wait times and bulk discounts have given this airline a hometown feel. The fact that employees remember passenger names and preferences has added up to make the brand immensely popular among frequent fliers. It operates up to 550 flights a day around North America with no route longer than 90 minutes. Cape Air has redefined the term boutique for the aviation industry and offers travelers a unique experience without resorting the frills. Why are these boutique experience important? Globally, the number of people traveling has increased and, as we have seen, a large percentage of them fly for shorter distances. Airlines and airports must focus on the quality of the short-haul experience if they want to stay in the black and see sustainable growth.